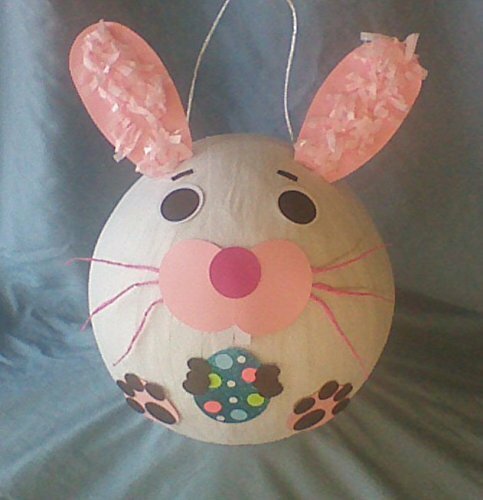 Pink and White Bunny Pinata. Easter Rabbit Holding Easter Egg. This is a paper mache traditional hit piñata. It measures about 11 inches by 11 inches high and wide. It holds 3 to 5 pounds of treats (not included). The piñata is ready to ship in 72 hours or less. Shipping time takes a week or less, I usually ship Priority Mail (1 to 3 business days). Easter is April 16th. Thanks for looking!